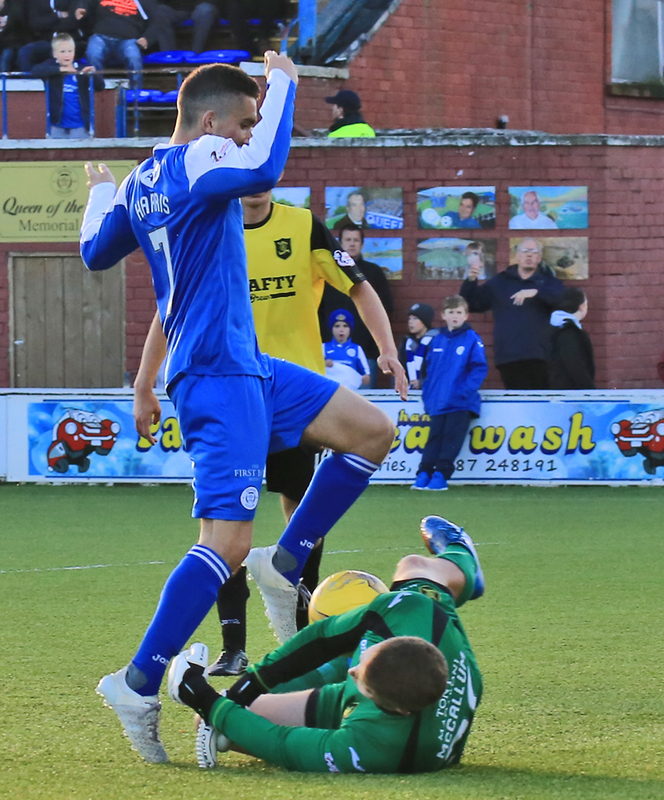 A terrible second half performance saw Queens turn a one goal advantage into a heavy defeat as bottom placed Livingston came from behind to record a 4-1 victory in what was only their second league win of the season as they strolled to victory in this afternoon`s Championship clash at Palmerston. 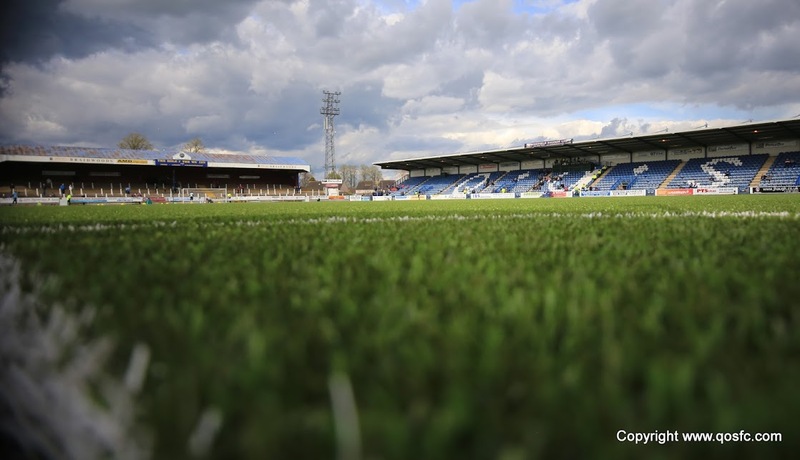 The defeat was Queens` fourth league loss at home already this season,which means that they have now lost as many at home as they did during the whole of last season, and even at this early stage they are already seven points behind a play-off place. 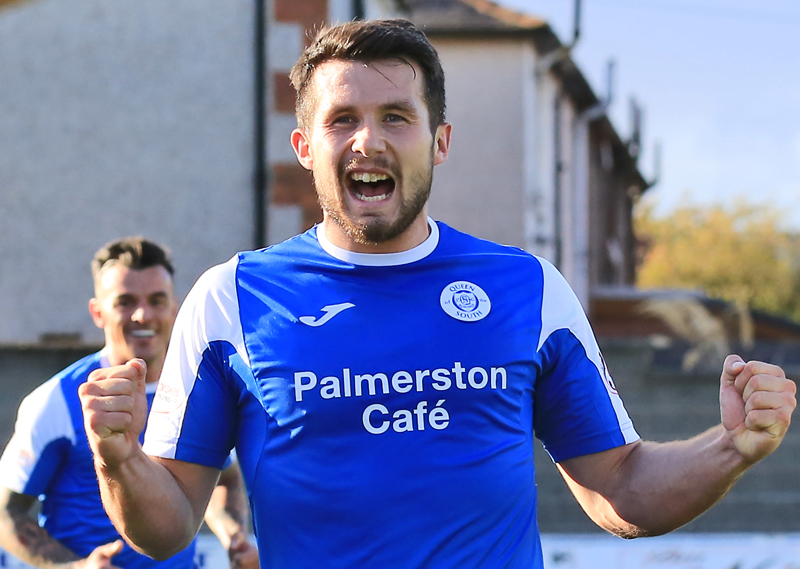 Following last week`s impressive performance against the league leaders, boss, James Fowler, made just one change to the side that started at Ibrox, as fit again Dale Hilson returned in place of Aidan Smith. There was also a return to the matchday squad for Iain Russell who featured for the first time in 6 games. The away side made an impressive start, and Jordan White - who was to be a problem all afternoon - almost gave his side a perfect beginning but he was not quite able to take advantage of some hesitancy in the Queens defence, and as they continued to press forward they had another chance when Glenn`s free-kick was cleared to Neill, but his effort from the edge of the area was charged down. Queens first meaningful foray forward led to them winning their first corner of the contest as Alex Harris saw his cross blocked. Ryan Conroy`s inswinging corner was met by the head of Derek Lyle, but Livi `keeper, McCallum saved comfortably.The hosts gradually settled into the game and on 14 minutes following a foul on Lyle they created another half chance. Conroy was the man on set-piece duty again, and this time his sweeping delivery caused some uncertainty in the Livi defence which forced McCallum to push the ball away for a corner. The resulting set play saw Scott Hooper decide to try and set up a colleague from his flicked header, but the ball was cleared by Gordon and the chance had gone. There was little between the sides at this point, although following a slow start, Queens were seeing more of the ball. 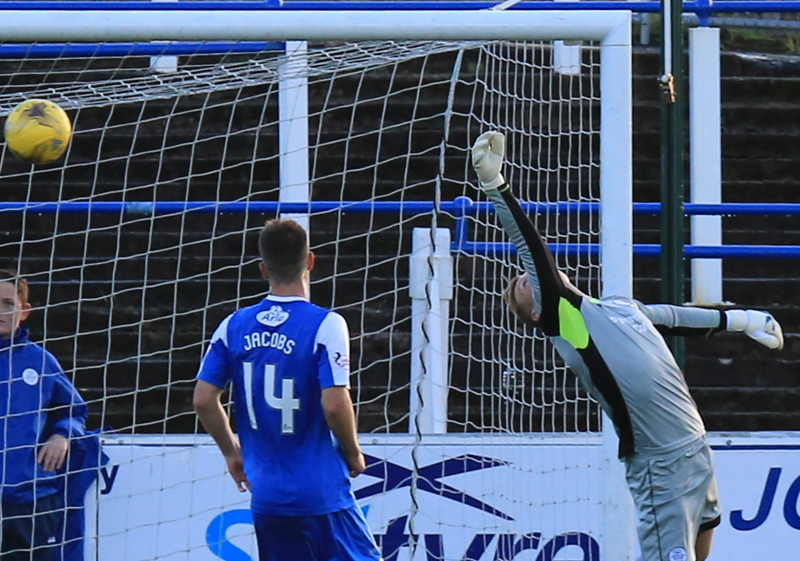 Alex Harris was looking lively, and it was his run and cross that provided the returning Hilson with a shooting chance, but on the turn and from just 8-yards out he shot straight at the `keeper - a foot either side of McCallum and Queens would have been ahead. Having gone close to opening the scoring, the home side took the lead following their next attack. After receiving the ball in midfield, Kyle Hutton found Jordan Marshall on the left and the young full back showed a tremendous turn of speed to get beyond the Livi defence and deliver a perfect cross that enabled Dale Hilson to sweep the ball past McCallum to net his first league goal of the season. 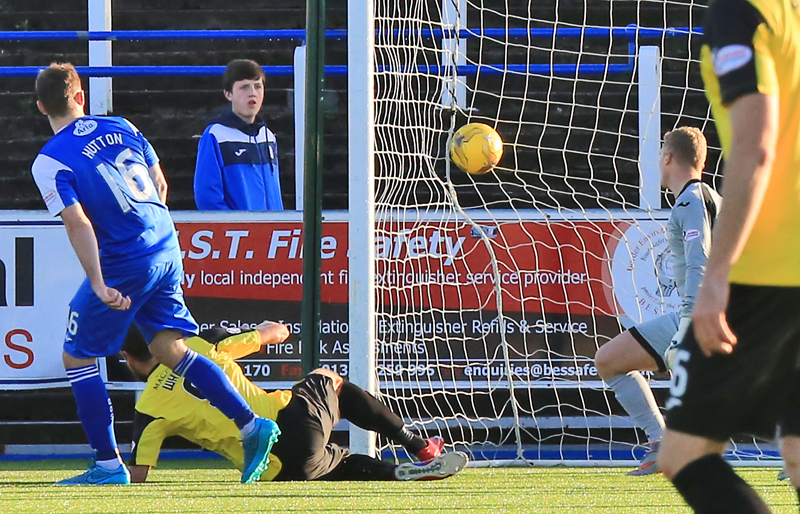 Queens certainly got a boost from the goal and for the next spell of the game they were in control. Hilson`s movement and ability to hold the ball up was clearly helping the cause, and another foul on him saw the home side win a free-kick some 35 -yards from goal. Although a shot at goal seemed unlikely, Ryan Conroy took aim but his strike ended a couple of yards wide of the target. The visitors attacks revolved around the link up play of White and Sheerin, and the height of White was proving to be difficult for both Hooper, and Higgins to deal with, and one such tussle between the Livi striker and Hooper ended with the Livingston man becoming the first player to be booked by referee Walsh. The visitors almost got themselves on level terms 10 minutes from the break following a set-piece of their own. After a foul on the left touchline and with all of their big men forward expecting a cross, Glenn decided to go for goal and his flighted cross to the far post needed to be tipped over by Robbie Thomson. Although they made nothing of the resulting corner, that period of play certainly saw the visitors up their game, and twice before the interval they had two excellent chances to get themselves level. Firstly - and probably the better of the chances - Longridge reached the byeline and picked out a perfect low cross to find Sheerin unmarkedl, but with the goal at his mercy he completely missed his kick and a good chance had gone.Queens replied with a quick breakaway that was only stopped when Gordon fouled Hilson,with the challenge earning the defender a booking. 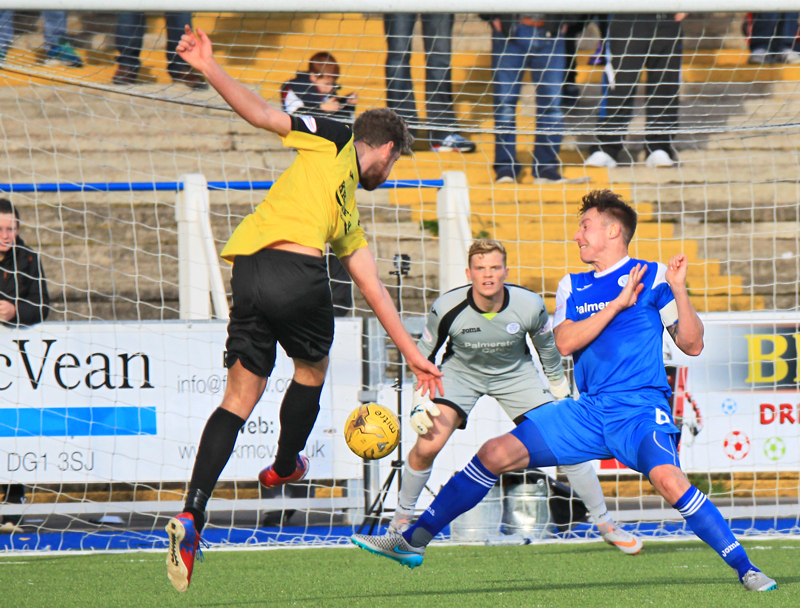 The second of Livingston`s chances came following a slip by Scott Hooper, but the young defender was mightily relieved when Robbie Thomson held on well to White`s shot from just inside the penalty area. 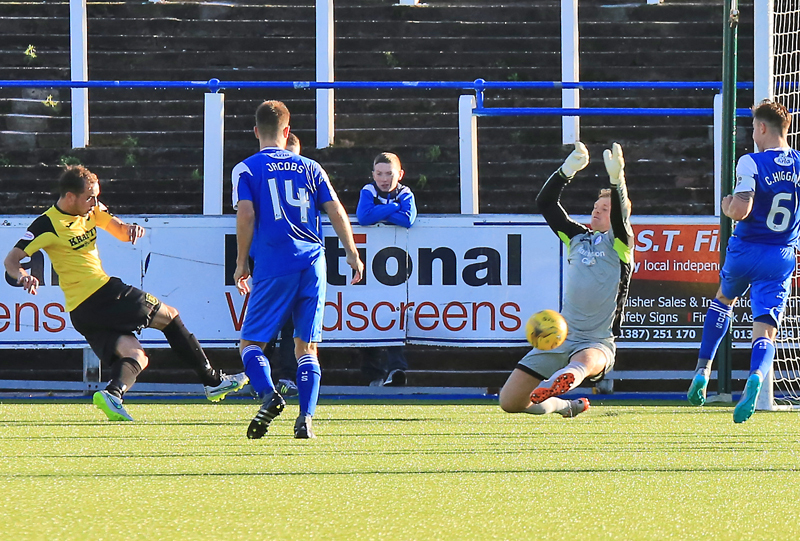 As the half moved into stoppage time, Kyle Jacobs was cautioned for a poor challenge on Pitman, and when sloppy defending by Queens gave the visitors another corner, Sheerin passed up another chance to draw his side level after good play by Glenn created the chance. Not a great game by any stretch of the imagination, but importantly for Queens, they had the lead at the break. The fifteen minute break between the halves is usually pretty crucial, and today for whatever reason, it worked superbly for one team, and it went horribly wrong for the other, and for those of a Queens persuasion in the crowd of 1485 unfortunately it went against them as Queens produced one of their worst 45 minutes for some time. In the space of 35 dreadful minutes they conceded 4 goals as the team that began the day in bottom place tore them apart. After a low key opening to the second period, on 50 minutes, the visitors were level. A free-kick was floated into the Queens penalty area, flicked on by White into the path of Pitman who under no challenge, was able to drill his shot past Thomson from close range. That goal gave the visitors a huge boost, and although Queens created a couple of half chances - most notably a decent effort from Lyle - there was certainly a shift in the pattern of the game as Livi began to pass the ball around to good effect. There was a further blow for Queens on 64 minutes when Hilson went down injured following a challenge and then collision with the advertising boards. Unfortunately for both himself and the team, he was unable to continue and was replaced by Iain Russell. Just three minutes later, Livingston had completed the turnaround when White was on the end of a move that he started. After taking control of the ball he was able to send Glenn racing clear and after continuing his run, he easily out jumped a static Queens defence to head past Thomson. Queens made their second change after the goal when Aidan Smith replaced Jake Pickard, who unfortunately was unable to get involved in the game which was a real shame following his impressive performance against Rangers last weekend. The visitors went very close to extending their lead moments later when a header from Neill was blocked on the line before Thomson was able to gather the ball at the second attempt. In a rare attacking move Russell and Smith linked up well, and although Smith picked out Harris with his cross, a poor first touch by the on-loan Hibs player allowed `keeper McCallum to reach the ball ahead of the Queens midfielder. The writing was firmly on the wall with 15 minutes left as Livingston sealed the win with a third goal, and once again, White was involved in the goal. He and Glenn combined well and the former Hearts player was able to pick out substitute Buchanan who turned the Queens defence inside and out before firing past a stranded Robbie Thomson. 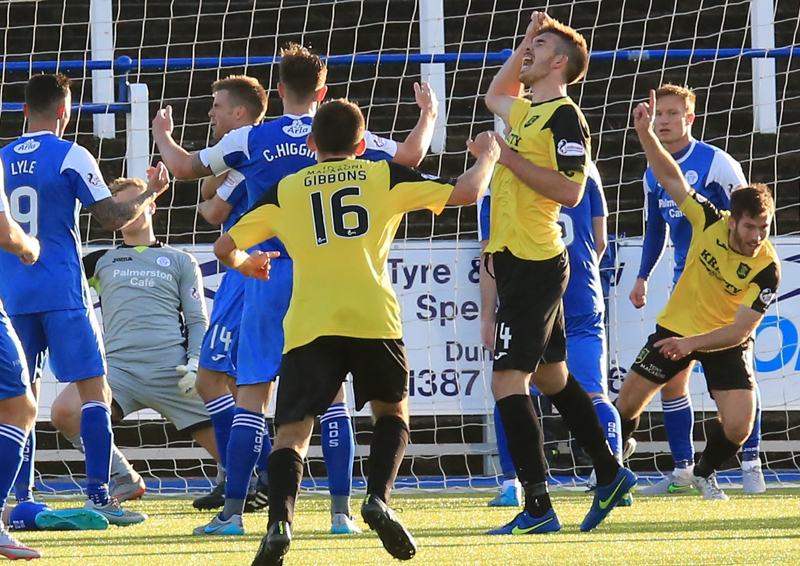 Alex Harris made way for Gary Oliver late on, and with Queens trying to reduce the arrears by pushing forward gaps were left at the back and it was no surprise that Livingston were well in control during the final period of the game. The home sides defending was poor and nobody was exempt from error and when Chris Higgins was woefully short with a back pass to `keeper Thomson, it was only the tightness of the angle that prevented White from adding to the misery. However, there was still one more piece of horror viewing to watch for the disgruntled Queens support when with 5 minutes left to play, Buchanan added his second goal when reacting faster than any Queens defender to nod the ball past the motionless Thomson. 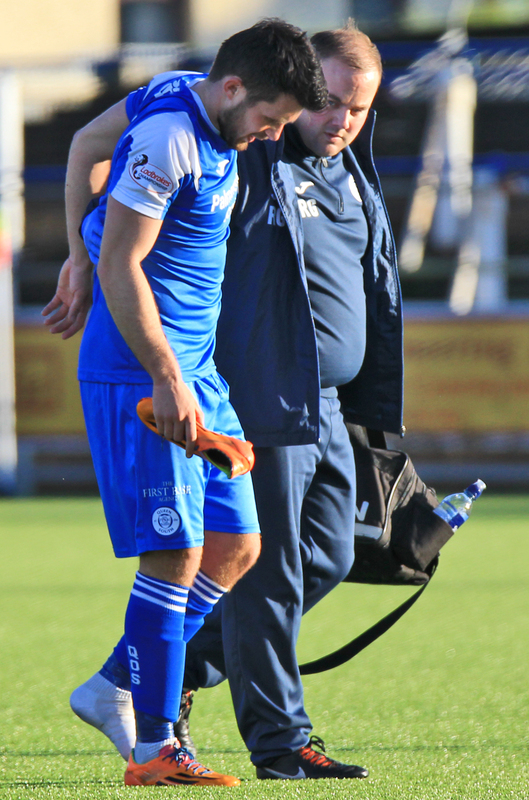 A very bad day at the office as far as Queens are concerned when just about anything that could go wrong did, including the injury to the returning Dale Hilson which is to be hoped is nothing serious. Having lost to the team that started the day as the bottom placed side, we travel to Alloa next weekend to take on the team that will start the day as the bottom placed side, let`s hope for a very different outcome. 14:18 Welcome to Palmerston Park. 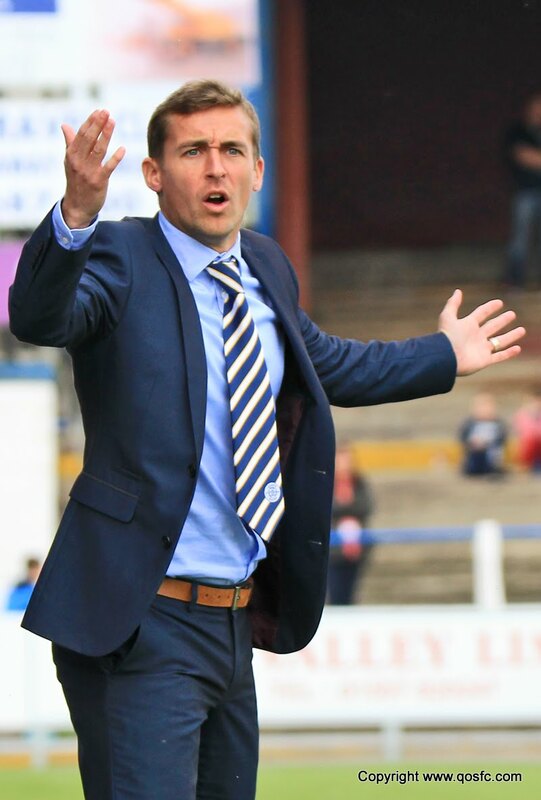 The Doonhamers host bottom of the league Livingston . Team line-ups to follow. 14:23 Queens make one change this afternoon. Dale Hilson starts for the first time since August in place of Aidan Smith. 14:25 Livingston XI: McCallum, Longridge, Gordon, Pitman, Faria, White, Gallagher (C), Neill, Gibbons, Sheerin, Glen. 14:26 Livi subs; Jamieson (GK), Miller, Georgiev, Buchanan, Currie. 14:28 Todays referee is Nick Walsh and the assistant referees are Stephen Mitchell and Craig Walker. 15:00 The teams are out and we are moments from kick-off. 2 min Livingston go close in the opening seconds of the game but Sheerin can`t get his effort on target. 12 min Conroys curling free kick is scrambled wide by McCallum for Queens` second corner. 13 min Lyle knocks down the ball to Pickard but Pickard shot is straight at McCallum. A great chance for Queens to open the scoring but still 0-0. 23 min Harris crosses the ball to Hilson and his shot from six yards out is saved by McCallum. 29 min Marshall`s excellent cross finds Hilson and his six yard strike finds the back of the net for his second goal of the season. 1-0 Queens. 30 min Jordan White booked for a challenge on Scott Hooper. 43 min Hooper`s error leaves White one on one with Thomson but the goalkeeper makes the save. Still 1-0 Queens. 51 min Scott Pitman knocks the ball past Thomson from close range to level the match. 58 min Lyle fires his shot wide of McCallum`s goal. Still 1-1 here. 68 min Gary Glen crosses the ball to White and his header gives Livi the lead. 1-2 Livi. 75 min Buchanan cuts inside and fires his strike into the back of the net. 3-1 Livi now. 83 min White nearly makes it four for Livingston but his effort hits the sidenetting. 85 min Buchanan taps in his second and Livingston fourth of the afternoon. 4-1 Livi.